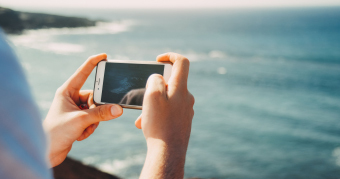 At the mere mention of iPhone video brightening idea, the first response for most people probably would be: to edit the video with a video editing app on iPhone. However, unlike photos, videos on iphone cannot be brightened up directly by default or even through iMovie. Even the filters or special effects provided by some popular video editor apps are not the right troubleshooters for dark videos. To brighten an iPhone video does not have to edit the video on iPhone. Other than on iPhone with an iOS app, to lighten a dark video on your PC or Mac is a nice choice. Don't bother about moving video files back and fro between iPhone and computer. 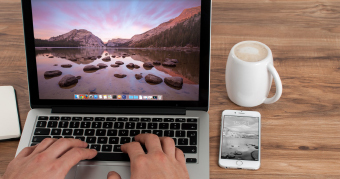 Transferring videos from iPhone to PC or vice versa will only cost you several seconds if you choose the right software, such as DearMob iPhone Manager. So, just set your heart at rest and enjoy the benefits brought by it. 1. The much larger screen size of computer is more eye-protective. The average desktop monitor diagonal size is 22.1 inches. While on the portable PC side, the average display diagonal size of portable PC is 16.1 inches. It is friendly to aged folks or people with poor eyesight. 2. Every detail of video can be seen more clearly and be edited more accurately without the need of zooming in. You can decide whether to brighten the shading and shadow. 3. Video editor on PC averagely has more powerful features than that on a mobile phone. By and large, mobile app is lightweight and has fewer features. Therefore, desktop-based video editor will be more function supportive, e.g. : supporting slow-motion videos, denoising videos and stabilizing videos. 4. It will be more speedy and convenient to batch-process your videos on a computer. Likewise, you can take full advantage of software and hardware acceleration to make video editing on the double. 5. Computer, containing hard drive, is a storage medium itself. After the videos being brightened and adjusted, they can be saved into the computer as the target. In addition, computer can be connected with external hard drive, USB flash drive, etc. Literarily, you don't have to worry about the memory space. Since video brightening is a small and basic feature, it is unnecessary to resort to the most technical video editor, especially if you are somewhat new to the field. VideoProc is kind of one-click solution may be more ideal for the non-professional. It gives you full control over your videos, from video editing and adjusting to video conversion, compression and downloading. - Download videos and music online, record screen or webcam. Give VideoProc a whirl on your Windows or Mac computer! 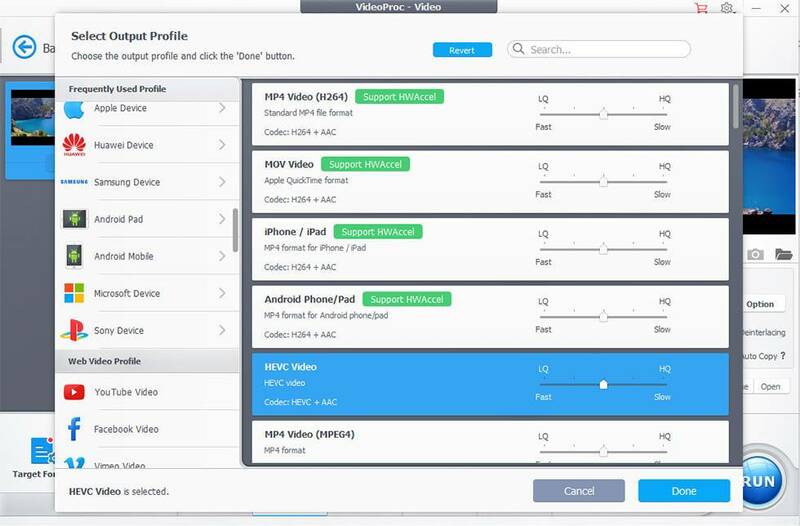 You should transfer the video(s) from iPhone to PC or Mac through DearMob iPhone Manager or iTunes, and make sure you have downloaded VideoProc on this same computer. Step 1. Load the original dark video to VideoProc. Launch VideoProc, the desktop app. Click Video on the main interface, and tap +Video or +Video Folder to load original video file(s). Step 2. Choose a target format. After loading, click "Target Format" on the lower left and enter the Output Profile window. Scroll up and down to choose a target format based on your target. If you will need to transfer the video back to iPhone after you increase or decrease the video brightness, please choose Apple Device > to iPhone Video > select your iPhone model. Step 3. Adjust the brightness. Hitting Effect button on the editing bar, you will see the Effects interface. "Brightness" is in the first place. * To brighten up: move the control bar of Brightness to the right until the brightness on the right of the preview window seems OK for you. * To darken: move the control bar of Brightness to the left until the brightness on the right of the preview window seems OK for you. You can reset and go back to the original brightness. Step 4. Adjust other color effects. You can also adjust levels of "Contrast", "Hue", "Gamma" and "Saturation" under "Brightness" in the same way to achieve the ideal color effect for your iPhone video. After that, stroke "Done". Other Options: VideoProc will let you edit iPhone videos, resize iPhone videos, cut, crop, rotate, add subtitle and watermark to a video. You can also deshake, denoise, merge, split, mirror, produce M3U8 video, add caption track, and so on. Step 5. Start rendering and converting the video. Tick Nvida / Intel / AMD to let the software make full use of Hardware Acceleration Engine. Tick "Auto Copy" for the fastest and 1:1 unchanged conversion. Then tap "RUN" button to start rendering and converting the video at the same time. It will be extremely fast (much faster than most of other video editor programs). After the video editing is completed, find the target file on the Output Folder, and transfer the video file back to iPhone if necessary. The default editing feature on iPhone is limited to video trimming, so you have to depend on a third-party iOS app for color correction and changing. Before we turn eyes towards the top video editor apps for iPhone, a quick word on the disadvantages of on-iPhone video editing. 1. iPhone is too small to avoid misoperation or clicking the wrong place during editing. 2. There are chromatic aberration between the screens of iPhone and other devices. The color or brightness of video that seems good on your smartphone may look distorted on other device. 3. Unlike iPhone photo editor, most video editors lack the support for direct video lightening or say adjusting levels which seems a small feature. (Instead, they may have preloaded filters). 4. The batch process and the batch saving are not as convenient as on a computer. 1. The iPhone iMovie app doesn't allow you to adjust levels on clips like you can on your desktop. 2. Some basic features are too hidden to be found on the iOS version. 3. It only supports linear editing. 4. Unlike the Mac edition, the iOS edition lacks some advanced features including denoising and stabilization. Q: How to Brighten a Video on iPhone with iMovie? A: Download the iMovie iOS version on your iPhone, install and open it. The only way to adjust brightness levels with the app is using filters. Magisto is available as an online video editor, a web app and a mobile app. As for the iPhone Magisto app, it is more like an automated video editing and processing. It cannot be easier, and requires no deeper understanding of complicated video editing. It creates a video in "3 Easy Steps". You cannot adjust levels with Magisto. There is no basic editing feature. Q: How to Brighten a Video on iPhone with Magisto? A: Download Magisto on your iPhone, launch the application, simply select your video(s) that you want to be made into a movie, directly select a theme that is brighter, and then select a soundtrack. As an Apple subsidiary, Filmmaker Pro is very popular among iPhone users. 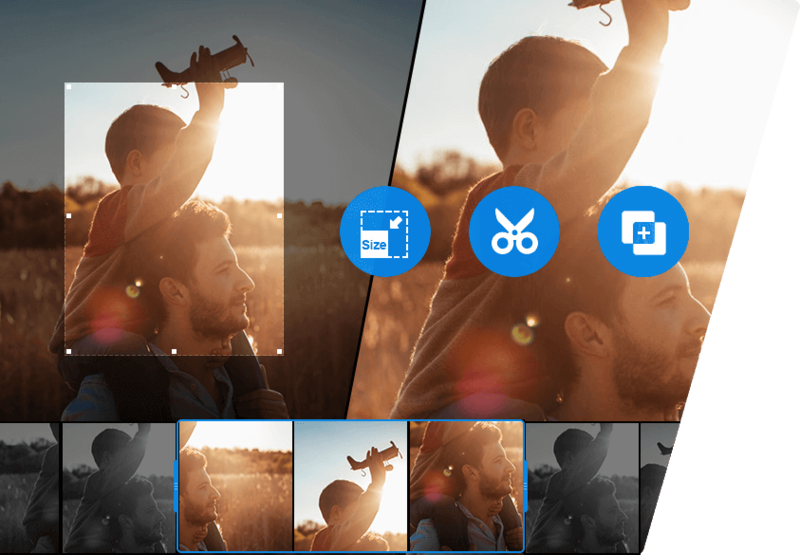 Oriented to video editing and movie making, it features creating unlimited projects, editing videos like adding texts, animated pictures, silhouettes, labels or even drawing on your photos! 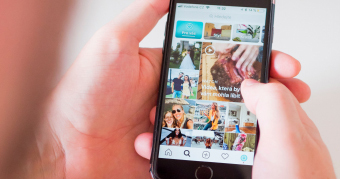 As for iPhone video brightness, you can either adjust video grading (video brightness, contrast, saturation, exposure and white balance), or choose 30 expertly crafted filters or realtime filters and effects playback. 1. Too expensive as a video editor app. 2. The camera feature is well subpar. 3. It's clumsy and loaded with something you don't need. Palpably, most of the on-iPhone video editor apps are easy to use, but do not support adjusting levels of video brightness. If you'd like fix dark / low-light iPhone video on a desktop, give VideoProc a whirl. It is all-in-one, ready-made, handy dandy video manager and video processing software that requires no deeper knowledge for computer terms and complicated video processing. iMovie Exports Video with Poor Quality? How to Enhance Video Quality? Harold Bentsen worked on tech writing in Digiarty Software earlier than anyone else. Now as a senior editor-in-chief and immersed geek, he pursues common progress with his team and expects to share more creative content and open-source information to readers. He on the flipside is a symphony amateur and pretended arts connoisseur who is also trying not to be only a dreaming world traveler. How to remove the shakes through iPhone video stabilization software.